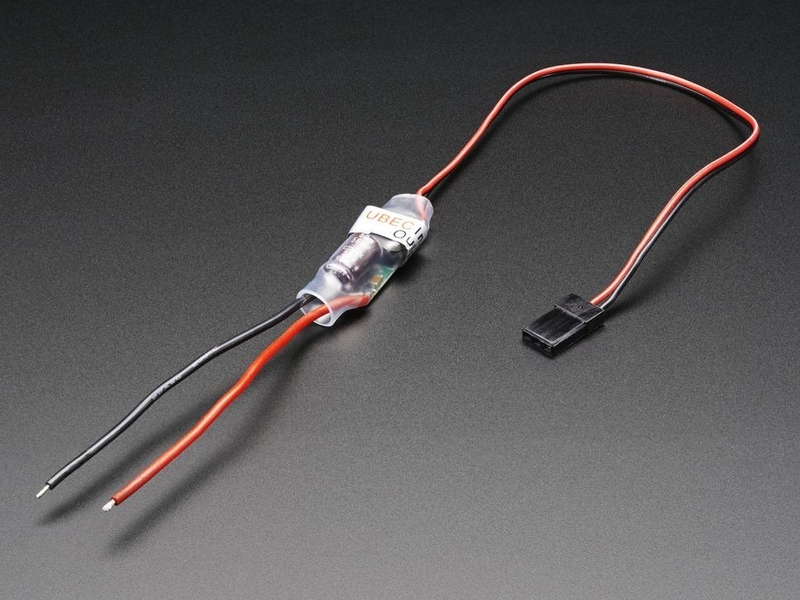 To use, connect 6V-23V to the shorter, thicker wires and 5V will be generated on the thinner, longer wires. 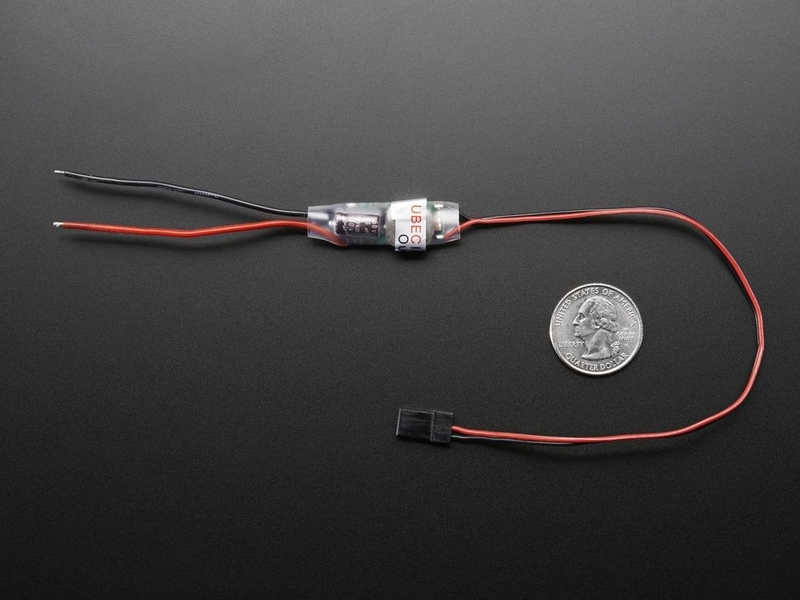 You'll get 5V (+-5%) regulated output from 6 – 23VDC input. 3A output current, 5A peak - if you're trying to draw 3A you'll need to give it a little more than 6V though, 7V works well. 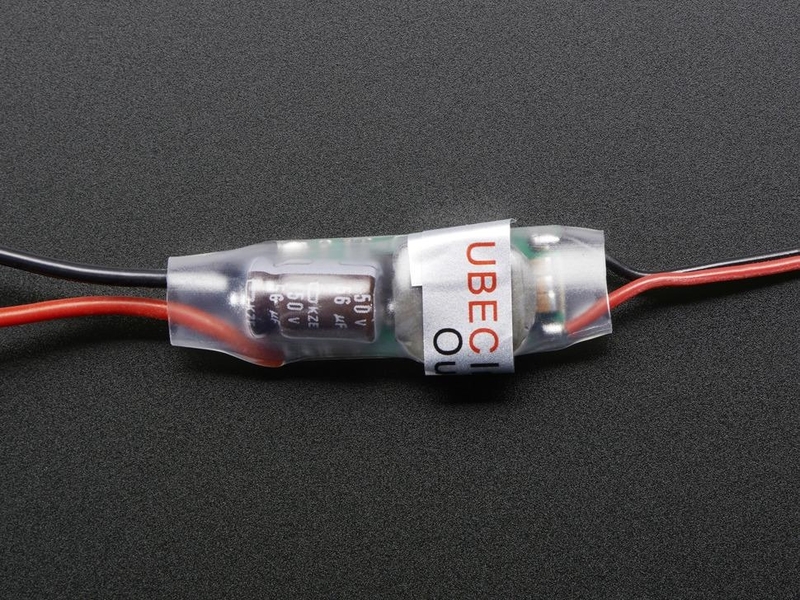 The UBEC has built in filter capacitors on the input and output, but its a switching supply so its a little noisy compared to a linear regulator.